The back will be a bit less complicated. I promise. 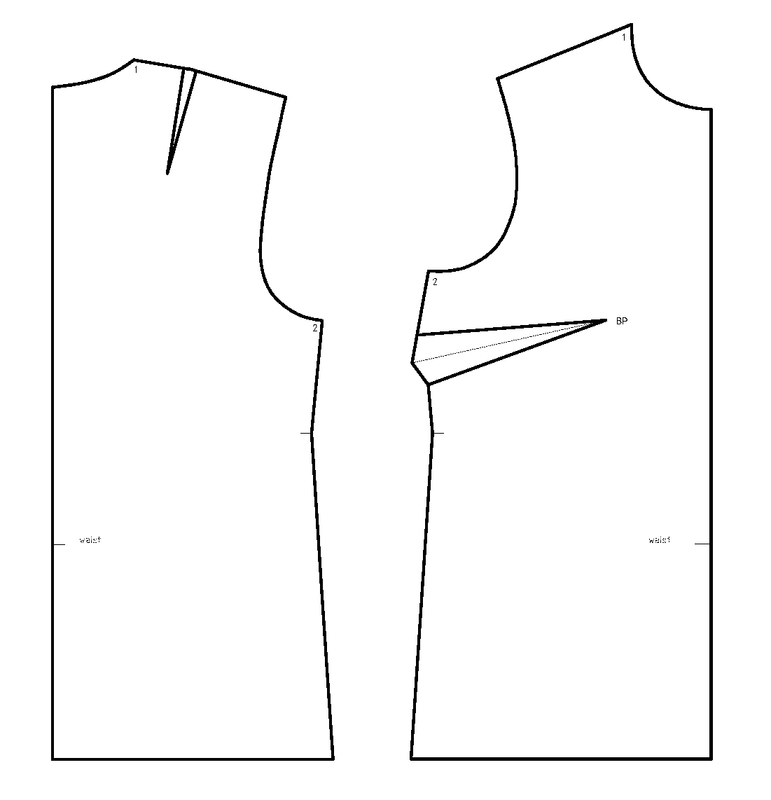 Again, start by copying the back bodice and draw a new neckline. Similar to the front, to add gathers around the neck we will move the shoulder dart into the neck and also add some volume around the neck. First, to move the dart, find A, which is at at the middle of the neckline. Draw a line from A to tip of shoulder dart. Also, find B and C halfway from A to ends of neckline. Before we move the dart, trace from B to midline and then along the midline to the waistline. 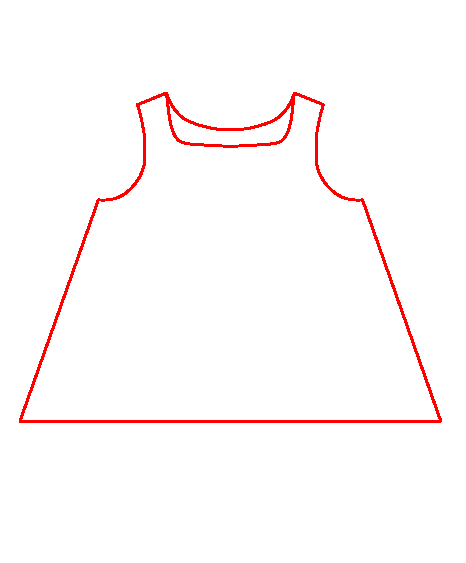 Also draw lines from B and C (for adding fullness) perpendicular to neckline. This step should have been done before the lines we drawn, but OK. It will work. Cut out the shoulder dart, cut along the line from A to tip of shoulder dart and move that little piece of paper clockwise around the tip of the dart until you close the shoulder dart. This will open a new dart at neckline. Redraw the line from C.
Cut along lines from B and C until the edge but not through, so that pieces don't separate. Keeping the midline in place, open the pattern along cut lines by a desired amount. The more you open, the more gather you will get. I opened about the same amount (at neckline) as the moved dart. Trace along all the edges. And this is what you get... (you don't need to trace along the cut lines, I did that only for illustration purposes). 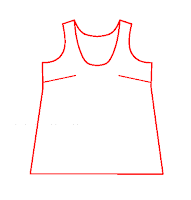 Mark midpoints on traced edges along the neckline and connect them to blend the neckline curve. That's it. Oh, don't forget the add length from waistline (I added 10 cm). Just to make sure the neckline and arm opening curves are still smooth from back to front, align pattern pieces along the shoulder seam. Looks good.